3.) Offering a functional space for students to read and study comfortably. Be philosophers of a renaissance of life. Be world citizens in solidarity for peace. Foster leaders of culture in the community. Foster leaders of humanism in society. Foster leaders of pacifism in the world. Foster leaders for the creative coexistence of nature and humanity. 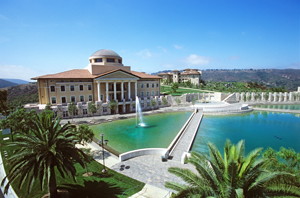 Soka University is founded upon the Buddhist principles of peace, human rights, and the sanctity of life. 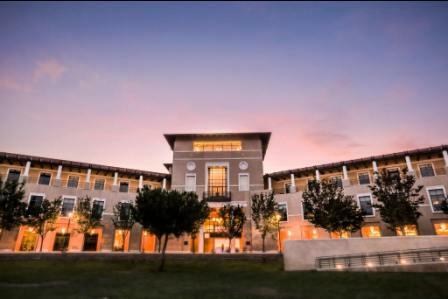 Educational objectives are fostered at the university through the commitment to rigorous academic endeavors, free and open dialogue, and an appreciation for human diversity. In the Buddhist view, education is an integrating process in which students gain an awareness of the interdependence of themselves, others, and the environment. Wisdom, courage, and compassion – values treasured by the university – do not exist in isolation. They emerge in individuals as they learn the importance of service to others, to the natural world around them, and to the great cause of peace and freedom.